Well done for everyone who made the effort to do the time trials last week. You should now have some excellent data on your stroke rate (in strokes per minute) and distance per stroke (in metres). If you missed the time trials then you can measure these variables yourself in a public session by counting and using a stopwatch. Or come along to the next time trials at the end of March. So those of you doing 60 strokes per minute and averaging 1m per stroke will be going 60m per minute, which is 1min 40s pace per 100m. This equation tells you that increasing either stroke rate or distance per stroke will make you go faster (while holding the other variable at a similar level). We’ve been thinking a lot about technique improvements that improve your distance per stroke so far this winter and now I want to focus more on stroke rate as we pick up the pace towards race season. So this week we will do some drills to get you swimming at a higher stroke rate. Don’t worry about your distance per stroke when doing the drills but do try and carry the faster stroke rate into the following swim sets at a similar distance per stroke that you usually swim. Try and think of it like spinning in an easy gear on the bike. Getting used to a higher cadence on a bike can often be more efficient and make you go faster overall, as many of you know, and a similar thing can true for many of us when we swim. I will be away next week and Chrissie has kindly offered to cover the Saturday session for me (swimming one of them as I do.) It will be the final session in January where I’d like you to continue focusing on maintaining the shrug of keeping your shoulders near your chin throughout the pull all through the warm-up and main set. You can see this position well in the picture below of Nathan Adrian from the video Speedo have done on his stroke. See you in two weeks for the next set of time trials! We are going to keep the technique work going throughout January, as we did last year, before we start the build towards more race pace swimming from February onwards. And for January the focus is going to continue to be on the underwater part of the pull by focusing on connecting your catch, with good EVF, to the powerful push part of the underwater pull. This week I would like you to focus on your posture and shoulder position. This should help you get more power in each stroke. 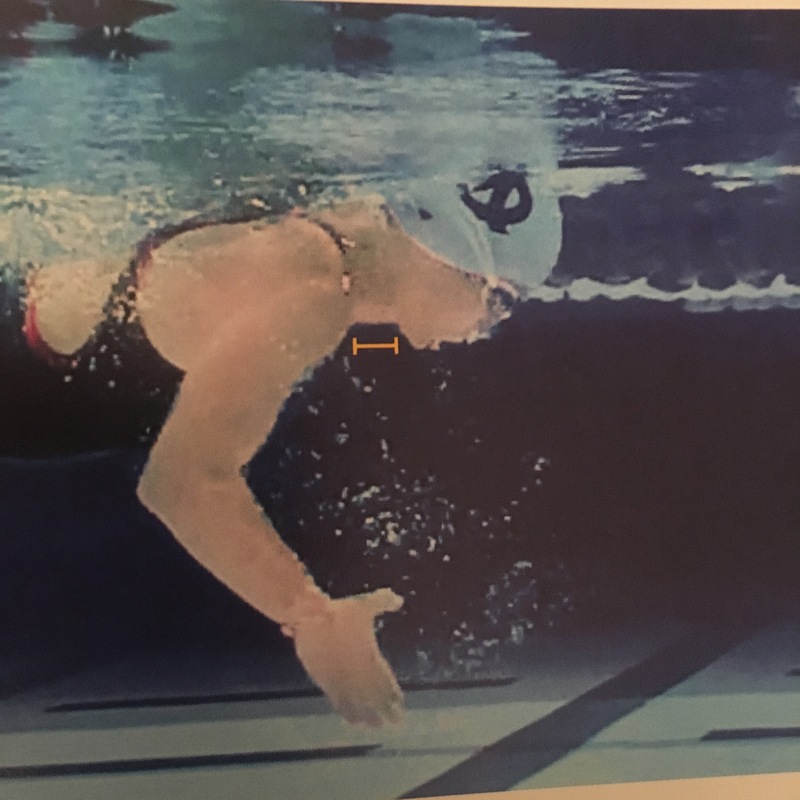 To illustrate the point I have a videos and two pictures to illustrate the point.The video here is from Brenton Ford at Effortless Swimming that illustrates the difference in strength possible with a good posture. To focus on posture this week I would like you to think about keeping your shoulders forward and near your face during the pull. You can see the difference between a poor and good shoulder position in the photos below. 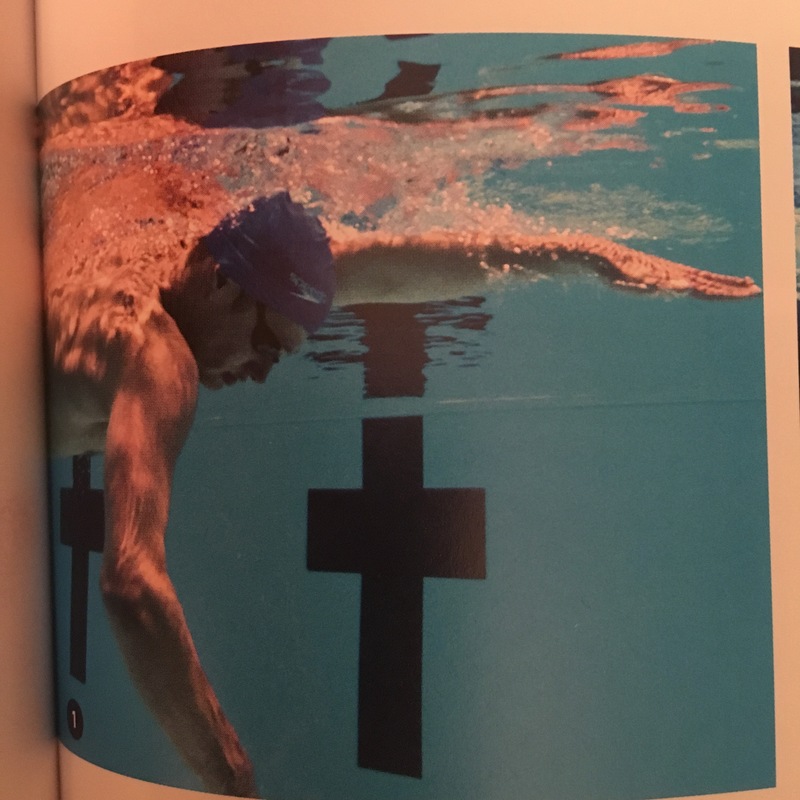 These photos are from Sheila Taormina’s excellent Swim Speed Secrets book and show Jack maintaining a high and forward shoulder position which helps engage his strongest muscles for a powerful pull, and also helps keep a vertical forearm for longer through the pull. The drills we will be doing this week will help you focus on this. 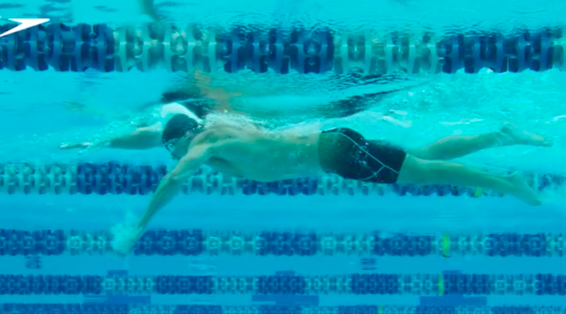 Please work on your shoulder position during both the drill and main set and see if you can feel the difference in power connecting your catch to the powerful back-end of your underwater pull. We will stick with the usual pattern of doing time trials every 2 months – on the last Saturday of the month – and the next time trials will be at the end of January. We won’t be doing any speed work before then so any improvement in your performance is most likely to come from technique. So please focus on your technique over the next few weeks by getting a good lever, with an early vertical forearm, to push yourself forward using a strong core rotation all controlled with shoulders near your chin. It’s time for the Christmas Swim again. Where has this year gone!? As in previous years we will be doing two equal sessions to ensure everyone can do the same set. So the 7am session will finish at 8:05am and the next session will start at 8:05am and finish at 9:10am. The Christmas Swim this year is built on that wonderful trio of technique, challenge and fun. We will be doing a long block of 100s, off a fairly short turnaround time, to make it a challenge. The technique comes from what I want you all to focus on during the first and second 100 of each block of 3. All the 100s are full stroke front crawl but I would like you to think about having an excellent EVF on the first 100 in each block and a good core-driven rotation and push in the second 100 of each block. The fun part comes from every third 100 where you will get a draw a lucky dip variation from a swimming hat in your lane and do what it says. It may also vary your recovery time so adding to the challenge element of the session as well! Please let your fellow swimmers know what the lucky dip element is of each 100 by passing it down the line through the lane as the short turnarounds mean there won’t be time to have a chat or add any extra rest if you want to finish the session. Please also make sure you start promptly. Well done for your efforts on the core rotation drills last week. I know they are tricky but I am hoping you felt the progression, as several of you did say you did. I really do think it is an important area of the stroke that many of us can get some good improvement from. We have done a lot of work on EVF but an EVF position is only really effective if you use it to apply the power effectively during the push phase of your underwater pull. And engaging your core and lats is a great way to do this. Try and think about using your core to push the water straight backwards. But don’t rush it. Try and squeeze yourself past a fixed point in the water so it is a gradual acceleration all the way through your underwater stroke. This week we will be doing some more core rotation drills from the Chloe Sutton video in a similar progression to last week. So please watch the video again below and check out the prone kick with rotation, hip-connector drill and power rotation with kickboard. 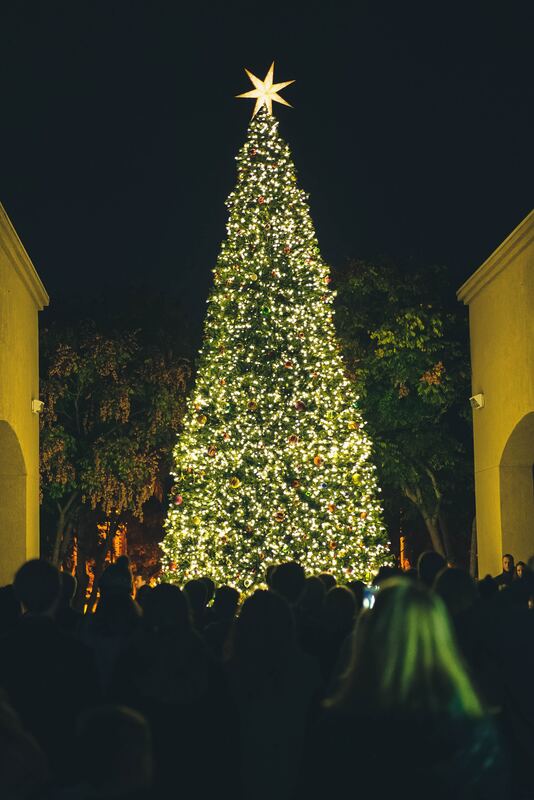 Next week is the Christmas Swim where we will be pulling together what we have been working on for the last few months together with a few Christmas surprises! After the drills we will be doing a Pyramid main set where I would like you to focus on keeping the powerful core driven push throughout the main set. If you get this right it should feel easy as it will be using your powerful lats and core to generate your speed rather than your shoulders. An EVF is important to set up you for the underwater pull but only fully effective if you use that good EVF position to get the power from the push phase of your underwater stroke. This is what I would like you to focus on during the session this week. Aim to keep your vertical arm accelerating and pushing the water straight backwards right to the end of the push-phase. Engage your core for extra power during the push. In December I will be alternating the sessions I swim and coach to give the 7am session a chance for some coaching. This week I will coach the 7am session and swim during the 8am session and change next week. Well done to everyone that has been brave enough to watch yourself on video and see what your stroke really looks like rather than what it feels like you are doing. We have one more week of video and EVF drills before our first time trials of the Winter and I will write a bit more about what I am looking for in the time trials next week. Back to this week, though, and the most common question I get on EVF is what should a good EVF look like? If you look at many elite swimmers like Rebecca Adlington or Sun Yang on Youtube you will see extreme examples of what is possible for EVF by the very best in the world. Few of us are ever likely to get near these extreme EVF positions but all of us can improve and get better. And for many of us, improving EVF is one thing that is likely to make a big difference in swimming speed and efficiency, which is why I bang on about it so much! So what should an EVF position look like for a regular swimmer? The picture below is a clip from an Effortless Swimming video analysis of Triathlon Taren, who I know some of you follow. The straight red line from his shoulder to wrist shows where he is with his catch at present and he is aiming to improve by getting to more of the bent red-line position shown on top of it. You can watch the full video podcast showing this from this link. So how do you improve your EVF? Many different drills can help and we have been practising many of those that I think can work well. The following video from Effortless Swimming is also excellent and well worth a watch. I particularly like the suggestion about shoulder position to help with a good EVF position, which is something you can all try this week. After the EVF drills this week we will be doing an aerobic set of 200s, 150s and 100s before doing some pull-back sprints to finish. I will be using lane 1 again this week for more video work during the pull-back sprints for anyone else that wants to be filmed. It’s been great to see how keen many of you are to work on improving your technique and I’m conscious I’ve been giving you some quite challenging drills to work on EVF. Well done for trying these – we will be doing some more of them this week – as improvements in EVF are the biggest improvement in speed and efficiency that could be made for many of you. If there is one thing I would encourage everyone to aim for when doing these drills it is to do them slowly and as relaxed as possible. I know this is hard as some of these drills are challenging. Please persevere and try and get just a bit more comfortable and relaxed doing them this week. Also, do think have an underwater video taken if you haven’t already. I know it can be a bit uncomfortable to watch as I find it exactly the same. However, if you can get past the discomfort it is a great way to see the difference between what it feels like you are doing and what you are actually doing in the water. And getting a video done now is a great way of getting a baseline to compare against when you try and make some changes. This week I will be using lane 4 at the end of both sessions to do some filming so please ask me if you are interested. I will keep bringing the camera for the next few weeks if there is not enough time this week. 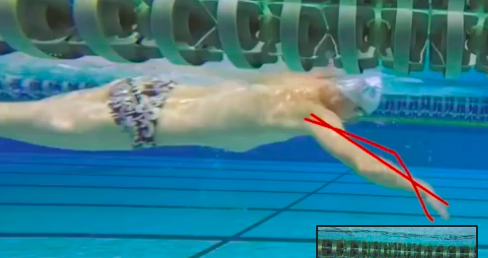 PS Do watch the Rebecca Adlington video again if you want a reminder of one of the best examples of EVF to suit a long and relaxed, fast and efficient front crawl.